In today’s world, the Infrastructure Demand Response (IDR) approach to the capacity management of application workloads and physical infrastructure is key to optimize responsiveness and managing the cost of infrastructure. For most organizations, there is a mix of application workloads with variable capacity requirements. Average workloads consume compute resources in a static and predictable way and represent the “base load”, these loads are best managed on the physical premises. Other workloads will be highly dynamic and therefore peak and valley in terms of resource consumption, perhaps event driven or based on seasonality, this is the case when cloud computing becomes more viable. It is these dynamic workloads that beg for on-demand or just-in-time infrastructure. With the modern developments in DCIM Systems, power, cooling, and modularity the “Build it Big” mindset is a model of the past for enterprise level companies. We are now capable of adopting a “Pay as you Grow” platform that gives infrastructure managers the flexibility and diversity they need to be successful. Robert Strong served in the United States Navy as a Nuclear Power Engineer during the ‘90s and his career critical power systems began. Following a few tours in the Persian Gulf he was honorably discharged and soon became the Lead Acceptance Field Testing Engineer in the Silicon Valley during the Dot Com Boom. Following a time with Cupertino Electric as a Project Manager where he earned his Professional Engineers License, Robert moved to Denver and co-founded Critical Facilities Technology, with him over 21 years of critical power and cooling experience. 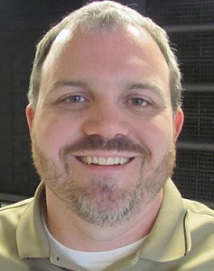 He is a published author and has been awarded by the Uptime Institute for Data Center Design in Efficiency. A self-professed “Gear Head” he can routinely be seen wrenching on anything with wheels, engaging in any number of unlimited hobbies or coaching youth football.